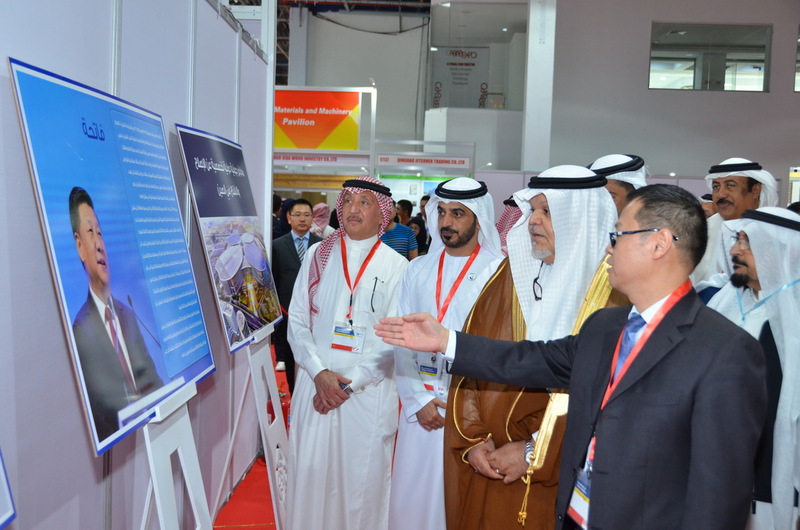 The Consulate General of the People's Republic of China in Jeddah Holds "International Exhibition of China's Reform and Opening up in 40 years"
<?xml:namespace prefix = "o" ns = "urn:schemas-microsoft-com:office:office" />On March 19, the Consulate General of the People's Republic of China in Jeddah held the opening ceremony of the "International Exhibition of China's Reform and Opening up in 40 years" at Jeddah Center for Forums and Events. The exhibition includes 3 parts: "Historical Route", "Development Achievements" and "Win-win Cooperation", introducing the glorious achievements of China's reform and opening up and looking forward to the bright future of China and the world through more than 100 precious historical pictures and materials. 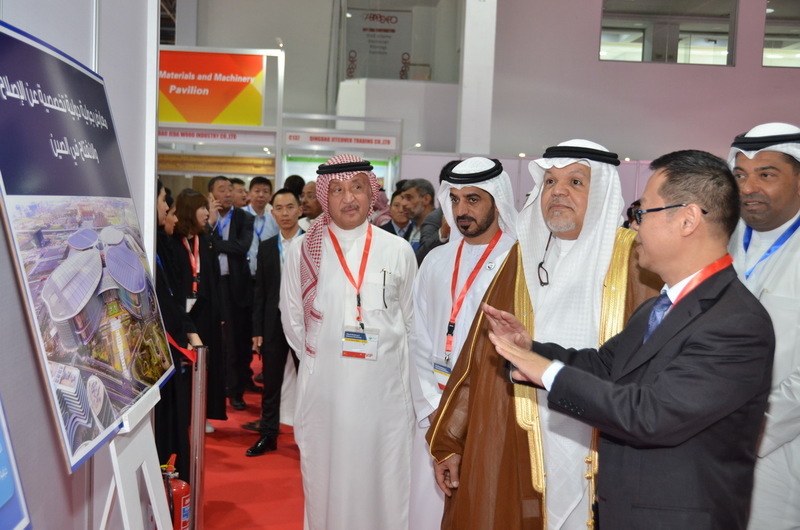 A total of about 360 people attended the opening ceremony, included H.E. Mr. Jamal Bakr Balkhoyor, Director General of Saudi Foreign Ministry (Makkah Region Branch), representatives from Jeddah Chamber, representatives from the Organisation of Islamic Cooperation, Consuls General of different countries in Jeddah, Saudi friendly people from industry, commerce, culture, education, media and other fields, some overseas Chinese citizens and students, representatives from Chinese companies. 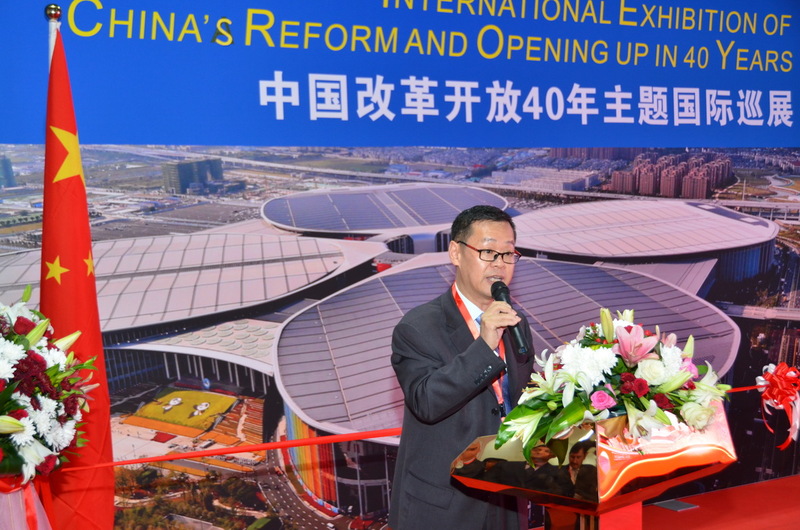 Mr. Tan Banglin, Consul General of China in Jeddah, delivered a warm speech at the beginning of the ceremony, pointing out that the reform and opening-up has greatly changed the face of China, of the Chinese nation, of the Chinese people and of the Communist Party of China. He sad, "the Chinese nation has ushered in a great leap forward from standing up and getting rich to becoming strong, Socialism with Chinese characteristics has ushered in a great leap forward from its founding and development to its perfection, the Chinese people have ushered in a great leap forward from inadequate food and clothing to a moderately prosperous society", emphasizing the practice of the past 40 years has fully proved that since the Third Plenary Session of the 11th CPC Central Committee, the path, theory, system and culture of socialism with Chinese characteristics that the CPC has united and led the people of all ethnic groups to embark on are completely correct, and the basic theory, line and strategy of the Party formed in this great course are completely correct, the practice of the past 40 years has fully proved that China's development has provided successful experience and bright prospects for other developing countries on their way to modernization, it is not only a driving force for world peace and development but also a major contribution made by the Chinese nation to the progress of human civilization. The visitors expressed their admiration for China's great achievements and praised that China's reform and opening up not only greatly promoted its own development, but also enabled China to participate deeply in the world economy and play an increasingly important role in the international affairs. They said the Belt and Road Initiative and the concept of building a community with a shared future for mankind proposed by President Xi Jinping have been welcomed, appreciated and respected by people from all over the world. The exhibition will be on display until March 21.